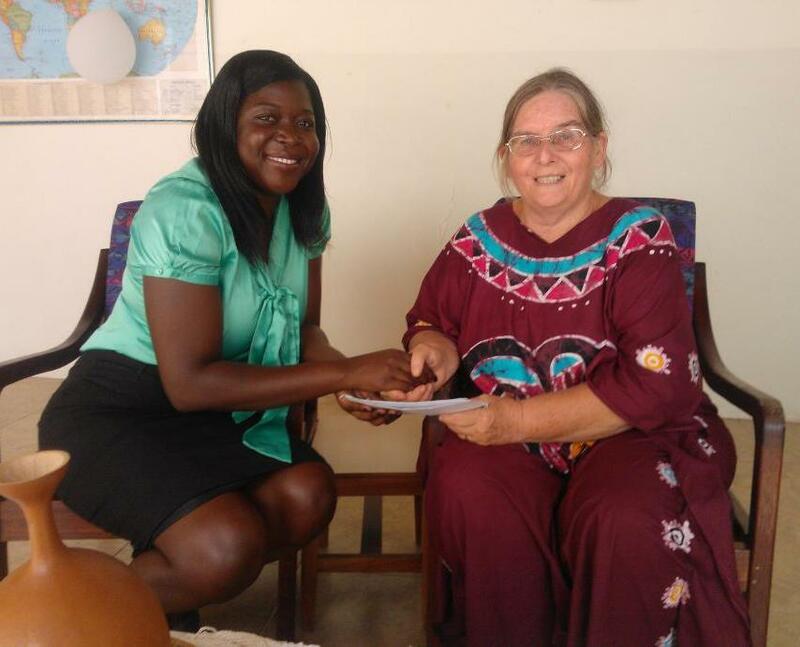 A local Ghanaian Methodist Fellowship- Bermondsey & Peckham, in South East London has made a donation of two hundred and fifty pounds (£250.00) to Ahotokurom, meaning “place of serenity”, near Cape Coast in Ghana. When the fellowship celebrated its 10th anniversary last year, it pledged to give the full proceeds to four charities, and Ahotokurom has been the first to receive its share of the money. Other organisations yet to receive their share of the money are two Children’s home in Ghana, and a homeless night shelter in South East London. The presentation was made on behalf of the fellowship by Dr Jean Yankson, and received by Sister Pat Pearson.